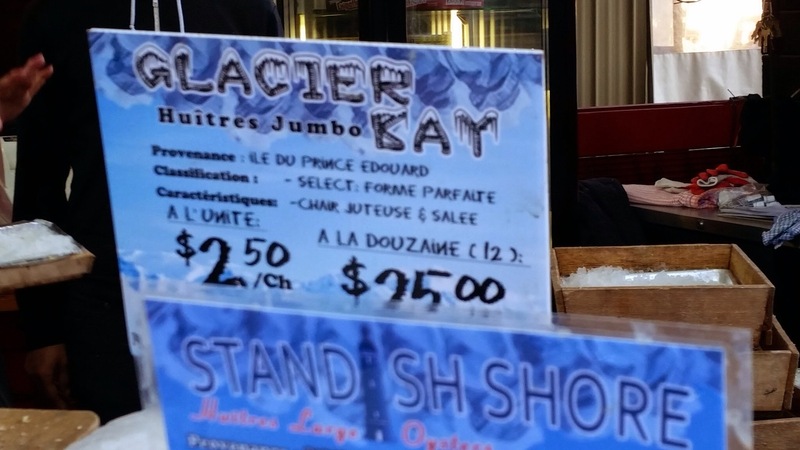 La Boite Huitres, The Oyster Box, at the Marché Jean-Talon in Montreal is where we had a box of delicious oysters. 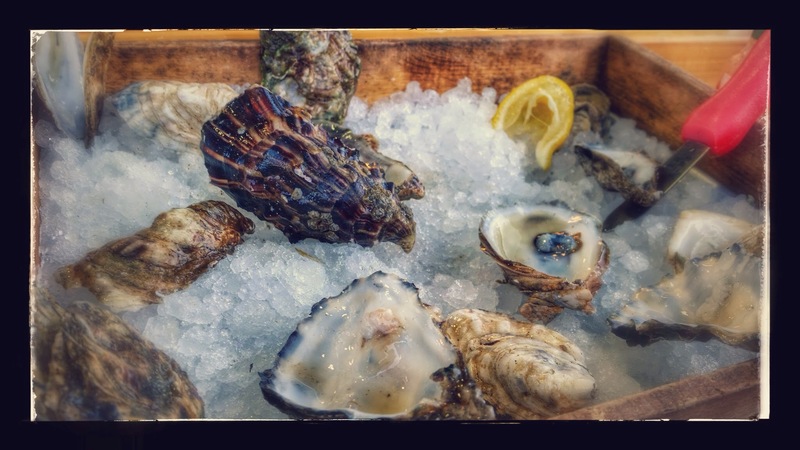 Oysters are the candy of the sea and the sensation you get is indescribable. 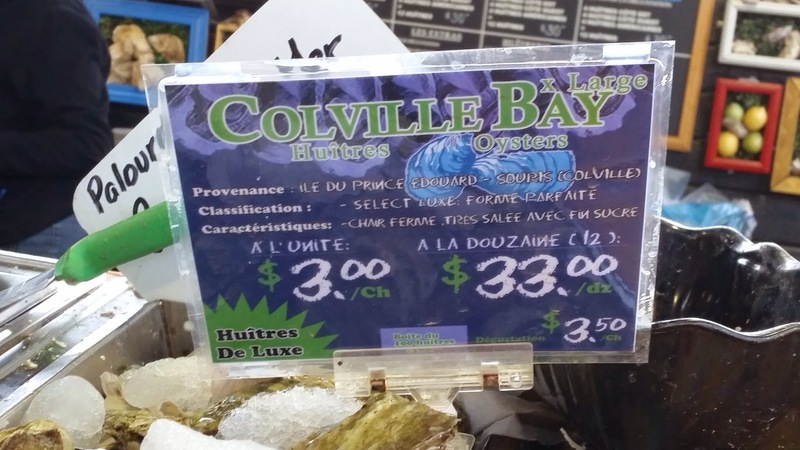 La Boite Huitres says that each oyster lover has his/her oyster G spot that can only be achieved when he/she meets the right #oyster. 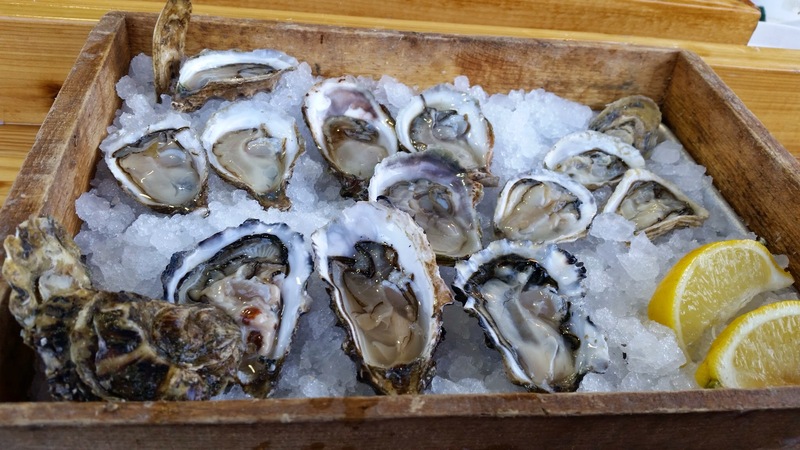 I am still trying to figure out what type of oysters I am in love with. Right now, I am pretty indiscriminate. I like everything from both coasts, most of the time. But I am slowly finding out that I may prefer the salty, the seawater, the taste of the raw and not the creamy, such as the Kumamotos. Here is the box of Explorer we had. We sat at the counter in a late October afternoon. 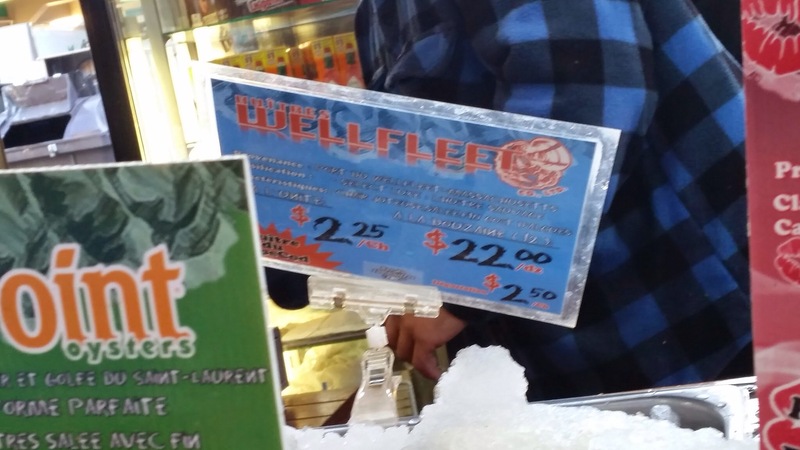 It was cold and the oysters felt even colder. But we were so happy to try these oysters. 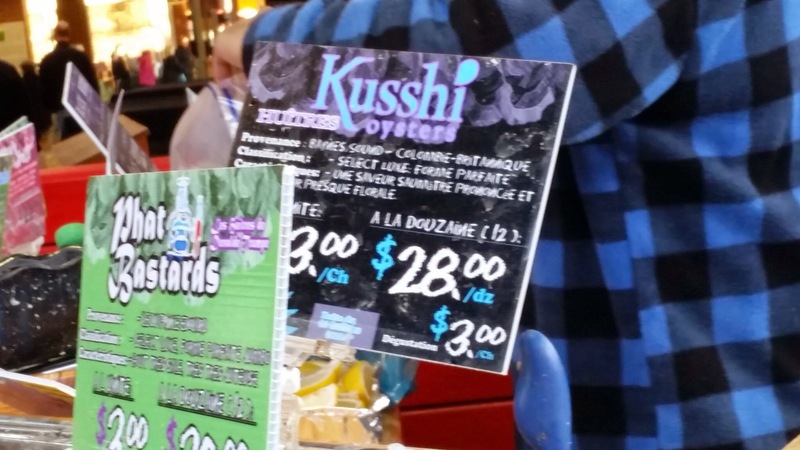 Kusshi from British Columbia is our favorite, clean and a little creamy. 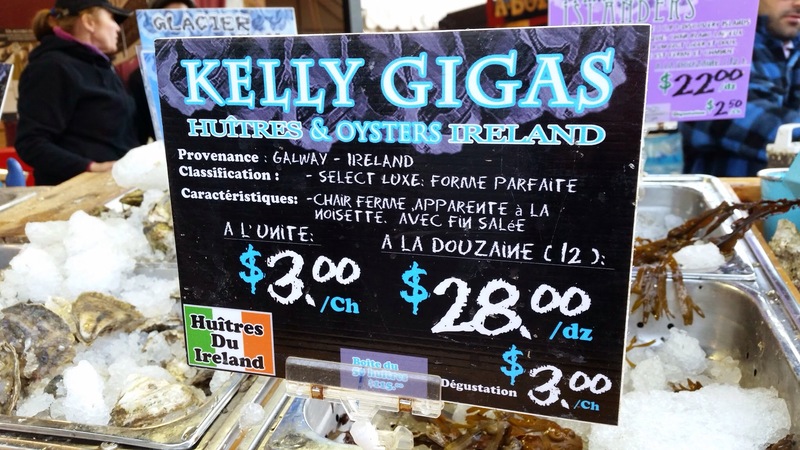 Kelly Gigas from Ireland was fine, more grown up and stronger in taste. Glacier Bay was clean and brought both the sweet and the salty. Colville Bay was not terribly memorable, unfortunately. Wellfleet oysters were meaty and reminded me of the Vikings. Aftermath: We polished off a dozen of oysters in less than 10 mins. Highly recommended! !